KIEV, Ukraine -- Ukrainian President Viktor Yanukovych denied Friday he had eroded press freedoms since coming to power, saying that journalists could write what they liked so long as it was the truth. 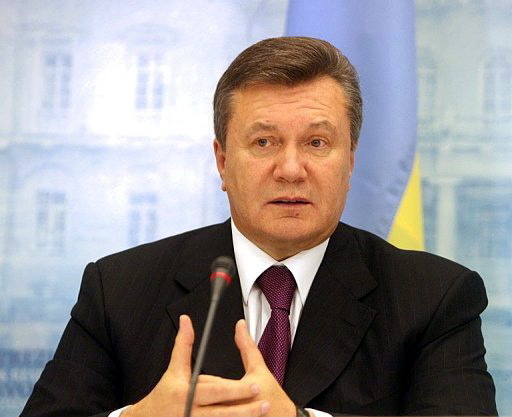 Ukrainian President Viktor Yanukovych denied he had eroded press freedoms. Press freedom in Ukraine is seen as one of the few lasting gains of the 2004 Orange Revolution that brought to power pro-Western leaders, who were ousted by Yanukovych in this year's elections. "Everything that was working in Ukraine, all the programmes, all the television stations, are continuing to work. The written press is as it was before," he said in an interview with Agence France-Presse and two other foreign news agencies in Kiev. "De facto, nothing has changed," he said. Ukrainian journalists have repeatedly warned of deteriorating press freedoms, saying pressure on reporters has increased after the Kremlin-friendly Yanukovych came to power in February. "Have you heard me tell someone 'don't criticise the president'? You will not hear this," he said. "I believe that everyone should say what they want. But there should not be personal insults. Write the truth and all should be well." At the last moment before the interview, aides announced they would not allow the foreign agencies to take their own still pictures and video footage and said they could only use those handed out by the presidential administration. Yanukovych's relations with the media have been marred by occasional mishaps, like the initial censoring by aides of footage showing a gigantic wreath tumbling on his head at a memorial ceremony. He said however the Ukrainian opposition were using the question of press freedom as a political tactic. "But this is also a normal process, I am not going to throw myself at the opposition with a truncheon," he said. International press watchdog Reporters Without Borders has said that media freedoms in Ukraine have deteriorated under Yanukovych and the country has tumbled to 131 from 89 in its latest table of world press freedom.